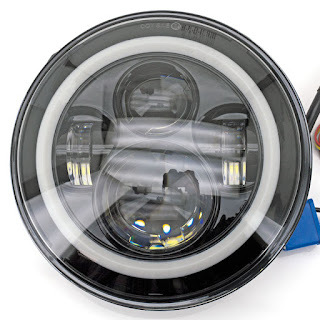 This E-approved LED headlight unit features high and low beam, as well as the Halo circle that you may use as daylight, city light or parking light. Comes complete with external ballast and connector for the good-old 3 post H4 connector, as well as the 2013-up H13-style connector. Maximum power draw is only 45 Watt. 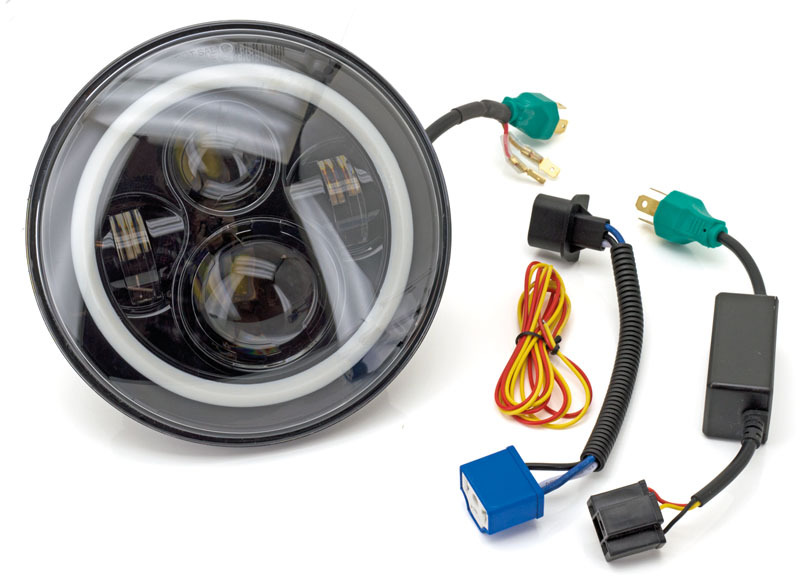 Fits most 7" headlight units, but can also be installed without a housing. Ballast measures 65mm X 32mm X 26mm, unit fits housings with a minimal depth of 70mm.